The Apple brand has one of the most loyal consumer base; not just in the smartphone industry but across all segments. That's one reason why the brand sits on top of over a trillion dollar market cap. The Apple brand has one of the most loyal consumer base; not just in the smartphone industry but across all segments. That's one reason why the brand sits on top of over a trillion dollar market cap. Once hooked on to the Apple ecosystem, a lot of buyers continue buying upgrades ignoring almost any development happening on the other end of the spectrum (mostly Android). However, the prices of the new Apple iPhones have become inaccessible, even for current iPhone owners that want to upgrade. Though the company is popular for supporting much older devices, the hardware limitations make them a difficult choice for buyers, especially in the age of no notches and in-display fingerprint sensors. Retailers have also reported a sharp decline (up to 45 per cent) in demand when it comes to the new iPhones. The new OnePlus 6T on the other hand is a promising candidate for buyers that are looking for an upgrade from their current iPhones and are sensible enough not to pay over Rs 1 lakh for a smartphone. The 6T has not been revealed officially, it doesn't even have a release date yet but it certainly will launch this month (most likely October 17), just in time for Indian festivities. 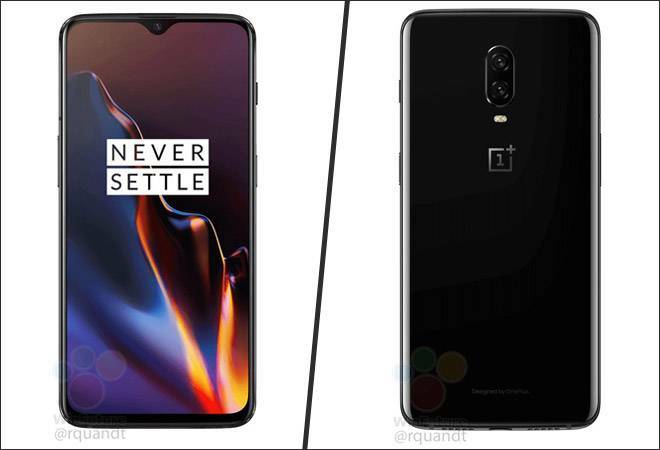 The new features of the OnePlus 6T are out in the open, with detailed renders of same. Moreover, the company has confirmed the highlights of the new device. The OnePlus 6T will not only come with Qualcomm's fastest chip in the market but also feature some interesting tech, like an in-display fingerprint sensor and a water drop notch. Coming to the trade offs, we won't see wire-less charging, waterproofing or any of Apple's fancy face recognition technology on the new OnePlus device. On the plus side, OnePlus provides its trademark dash charge technology with a compatible adapter in the box. Apple iPhone buyers, on the other hand, will have to purchase a separate fast charge adapter which adds to the device's cost. In terms of design, Apple takes the lead with its premium touch and feel but OnePlus is not far behind. OnePlus has come a long way from its brute aesthetics that were functional but did not aim for the premium tag. Since OnePlus 6, the company has opted for a conventionally premium glass sandwich design which brings it at par with other premium segment offerings. While this might seem as an apples to oranges comparison, majority iPhone owners in India purchase Apple devices that are relatively dated and fall in the same price segment as the latest OnePlus phones. The launch of the OnePlus 6T is expected to happen in the second half of the month but the beauty about Android ecosystem is the options available to an average consumer. There are devices like the Poco F1 by Xiaomi that offers a spec sheet almost identical to that of the OnePlus 6 but still is priced much lower. For high-end users, Samsung brings in the Note series, that tries to justify its price tag with added functionality of the S-Pen.